Designed to fit any 1" bore 5C collet with or without internal threads. The rear hex head screw operates 6 small axially oriented pins forcing 2 split rings to lock onto the internal bore of the collet. 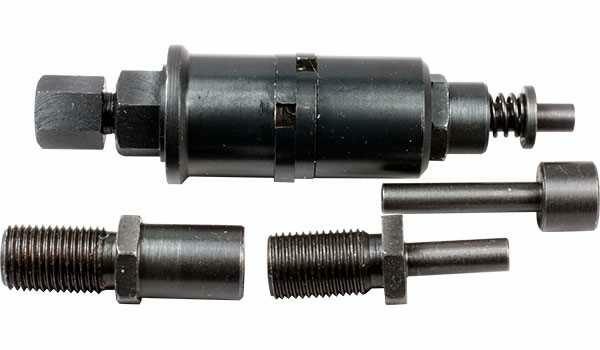 Supplied with 2x fixed and 2x adjustable spring loaded stops (range 0-1").